First sentence: The Fossil sisters lived in the Cromwell Road. The children have vowed repeatedly throughout the book to make the name of FOSSIL famous....will they? 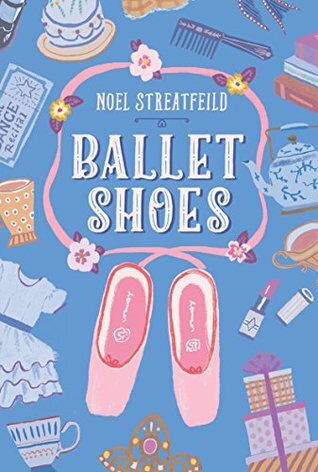 My thoughts: I enjoyed rereading Ballet Shoes. It's been nine years since I've last read it! I definitely appreciated it more this time. That is one reason why I love to reread books. Sometimes once isn't enough. Original audience born circa 1924 to 1928. Glad the book lived up to your memory of it!